“first known published receipt (recipe) is a delightful verse version” (1796). Close your eyes and imagine a scene in Bath, England over three hundred years ago. In the scene, a young woman is carrying a big basket of “buns” and selling her wares in the lanes around Bath Abbey, near the pastry shop where she works, in Lilliput Alley. If you peek into her basket underneath the big white napkin, you will see large round loaves with the most beautiful golden brown crust, in the shape of fat mushrooms with slightly overhanging “caps”. 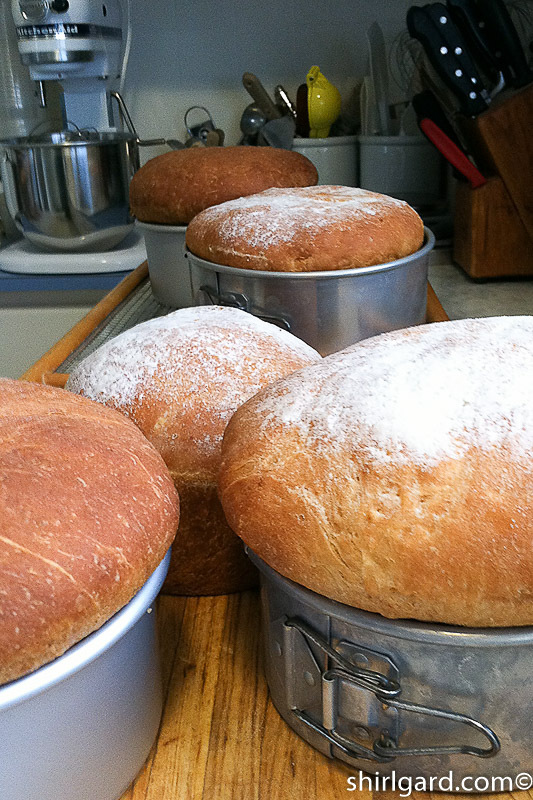 Even though they are large loaves, they are called “buns” and sometimes referred to as “Bath buns”. The young woman’s name is Solange Luyon, a Huguenot refugee from France, who has come to Bath only recently, (1680), carrying with her a secret recipe for a brioche-like bread (or cake, if you prefer), which is very similar to the festival breads that she knew so well back in France. 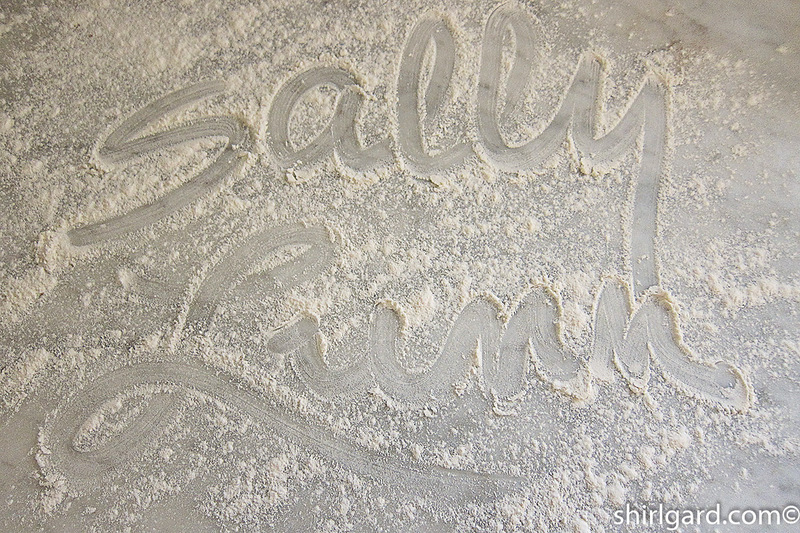 Her fellow bakers in the English pastry shop have trouble with the French pronunciation of her name and start calling her “Sally Lunn”. Her “buns” become so popular, and so sought after for breakfasts or tea in Bath, that the baker and the buns become synonymous: known as “Sally Lunn”. I love this romantic folktale and would like to think that it is true, and that there really was a “Sally Lunn”. I also like the fact that it answers a question that I have always had: how did a French breakfast cake (brioche) get to Bath, England in the 1600’s? This is only one version of “The Legend of Sally Lunn,” but it’s my favorite. Another version of the legend has it that the name of the immensely desirable large round “Bath buns” that were sold in the streets of Bath in the late 1700’s was another French-into-English issue. As the young woman with her basket of “buns” from the pastry shop cried out in French: “soleil et lune“, “soleil et lune“, it could sound a little like “Sally Lunn” to the ears of the English. 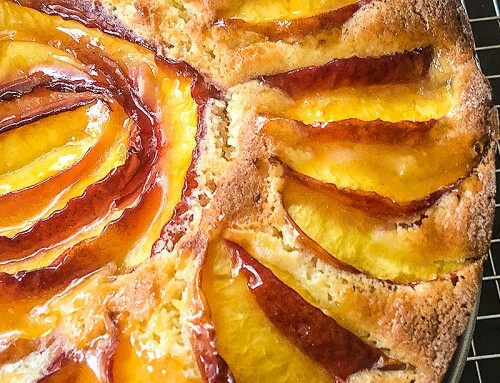 “Soleil et lune” is a cake from Northern France which translates as sun and moon cake, describing the “golden brown crust” (sun) and the “light interior crumb” (moon). Then there’s Marie-Antoine Caréme, a famous celebrity chef / pastry chef of the early 19th century, who heard about the popularity of the “Sally Lunn” bun and (in 1815) created his own version. To be politically correct, because England was the enemy, he tweaked it a little and gave it a French name: “solilemme“. Sally Lunn? Any or all of these possibilities might be true. It’s fun to imagine! But what exactly is a Sally Lunn? Sometimes called a bread, sometimes called a cake, this is how it is referred to in Eliza Acton’s Modern Cookery for Private Families (1845): “Solimemne – A rich French breakfast cake, or Sally Lunn”. 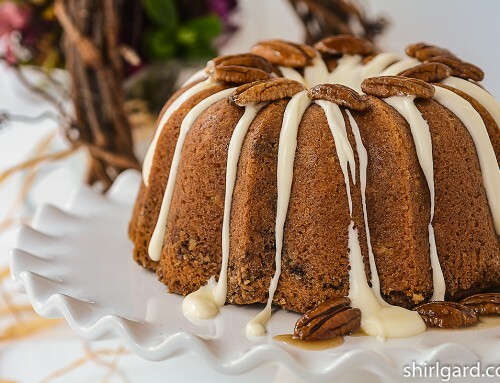 There are many different recipes for Sally Lunn, but this is one of my favorites, which I adapted from Elizabeth David. It is a simple brioche-like breakfast bread, except that it is made with cream instead of butter (like brioche). Even though it is a yeast-risen dough, it is easy to make and very versatile, lending itself to many different sizes and shapes. 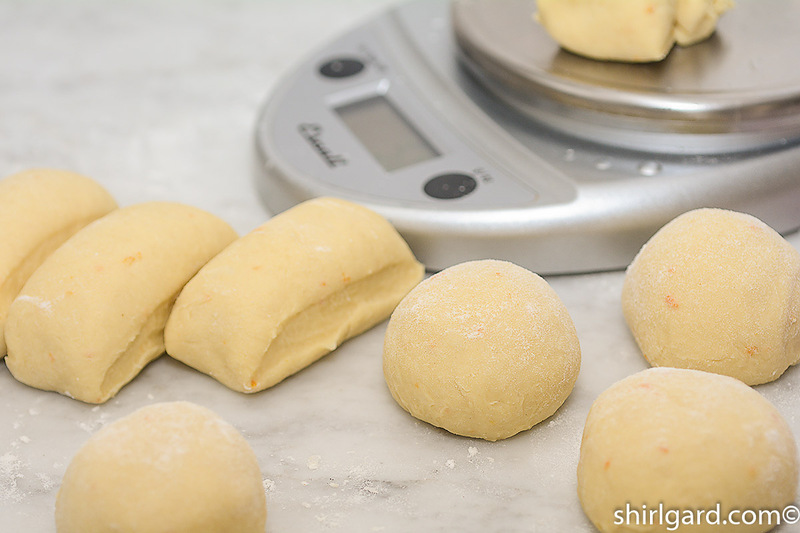 Instead of making large “buns”, maybe you would rather shape the dough into little balls and bake a pan of Individual Pan Buns, or put the balls of dough into muffin pans and make Tea Buns. Roll Cold Dough into a Log. Divide Roughly with Bench Scraper. Scale @ 50g (1 3/4 oz) Each. 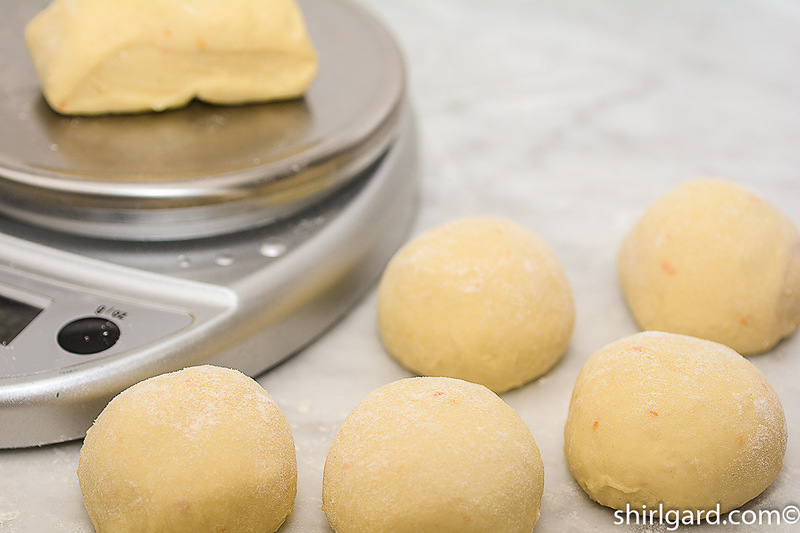 Dough Portions “Rounded” into Tight Balls. Place on Parchment-Lined Quarter Sheet Pan. 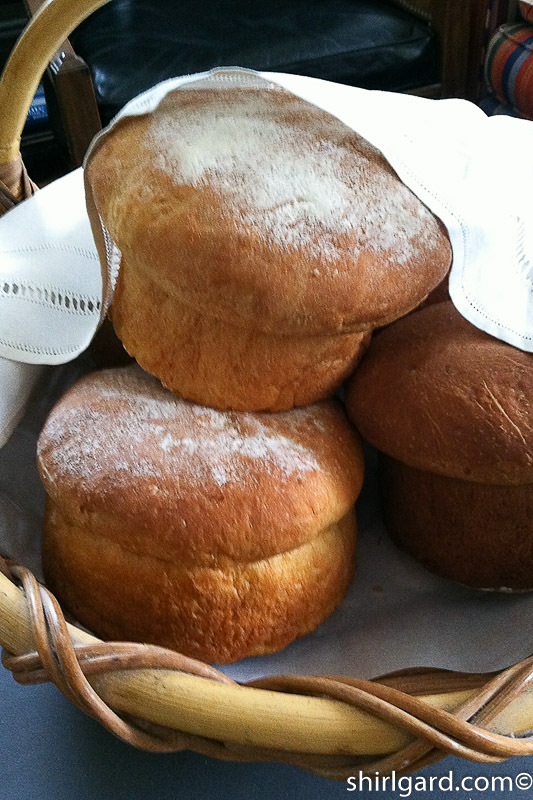 Sally Lunn Individual Pan Buns. 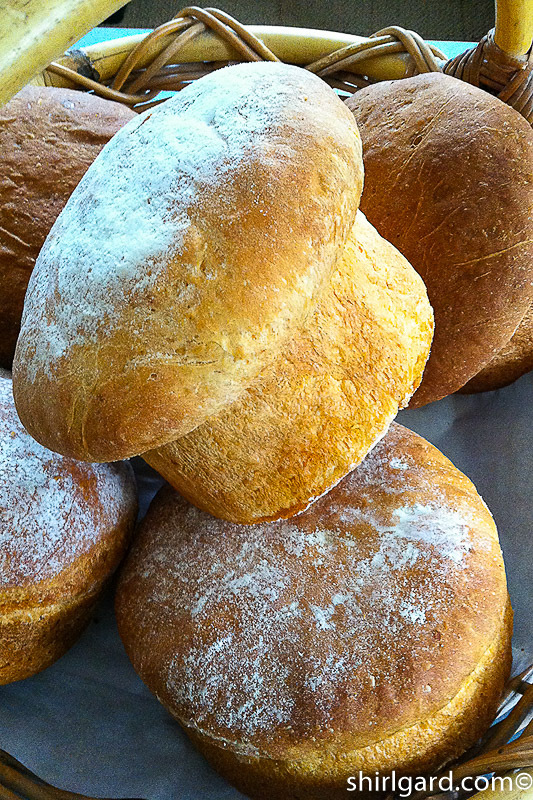 Ready to Serve: Warm Buns From the Pan. Sally Lunn Pan Bun with Butter & Jam: For Breakfast or Tea. Tea Buns are Shaped the Same as Pan Buns: 50g (1 3/4 oz) Each (Using Cold Dough). 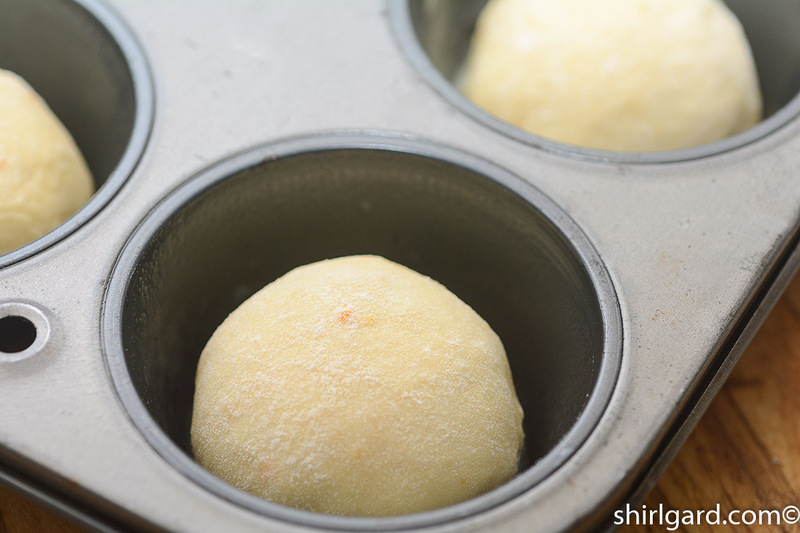 Place Balls of Dough in Standard Muffin Pan. Filled Muffin Pan Ready to Rise. Baked Tea Buns Left Plain With no Glaze. Shiny Milk & Sugar Glaze Added After Baking. 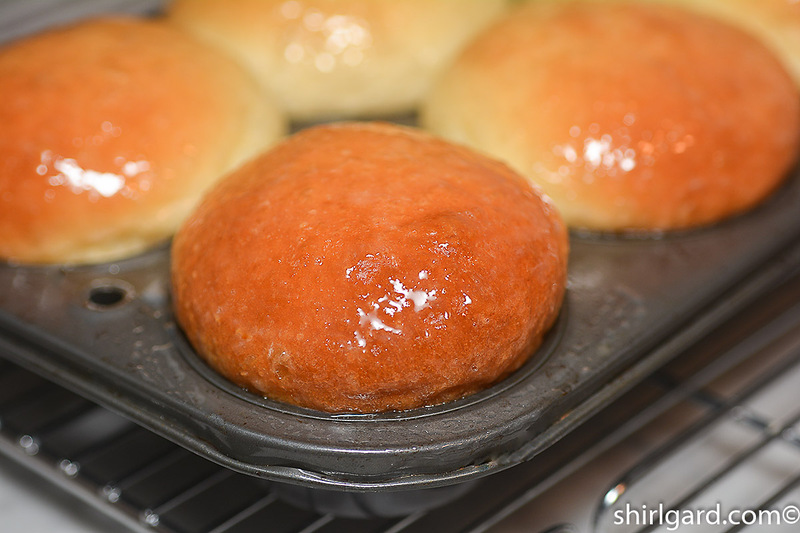 Baked & Glazed Tea Buns. No matter what shape you choose, what could be tastier for breakfast, brunch or tea than warm Sally Lunn that you slather with soft Whipped Orange Butter and serve with orange marmalade or strawberry jam? If there should be some left, it tastes great when toasted a few days later. I’ve also made very tasty cinnamon toast with Sally Lunn. Dividing the Soft Freshly Made Dough After the Rise. 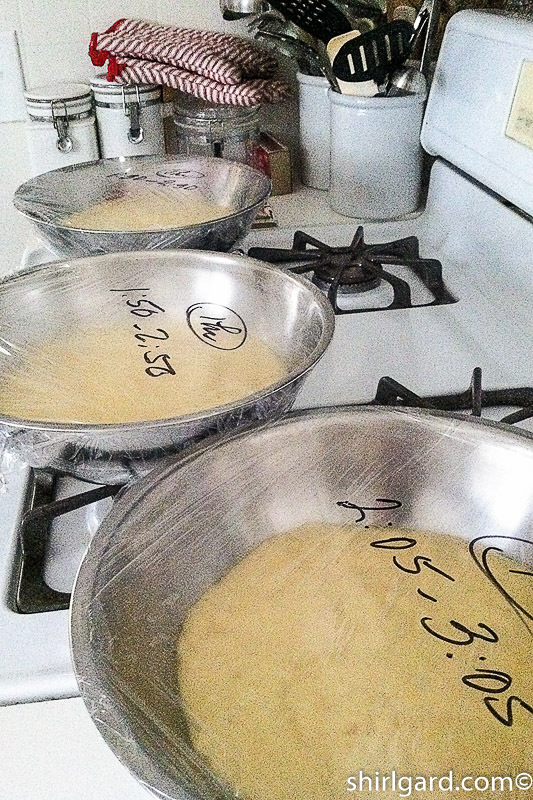 Place in 6″ x 3″ Pans. 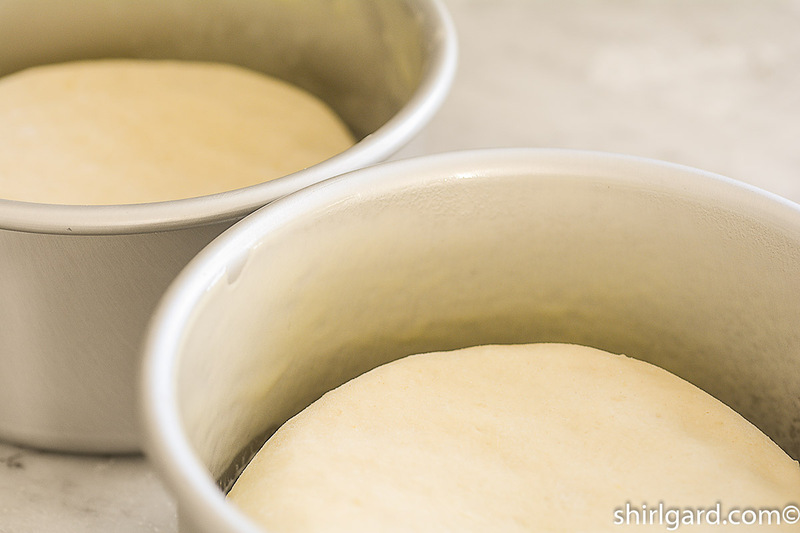 Let Rise Until the Dough Rises in a Dome Above the Top of the Pan. Sally Lunn Buns Ready to Bake. 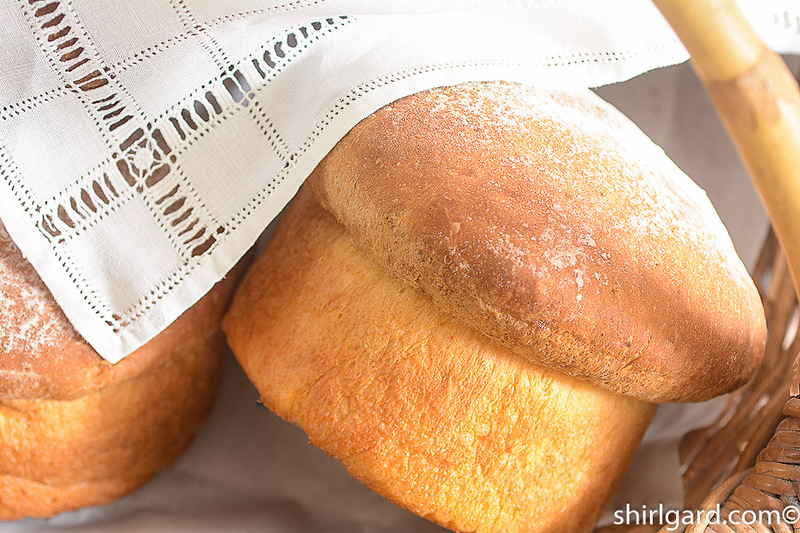 Sally Lunn Buns, scented with just a hint of citrus, either lemon or orange, have a light, airy, and tender crumb with a thin and crisp golden brown crust. 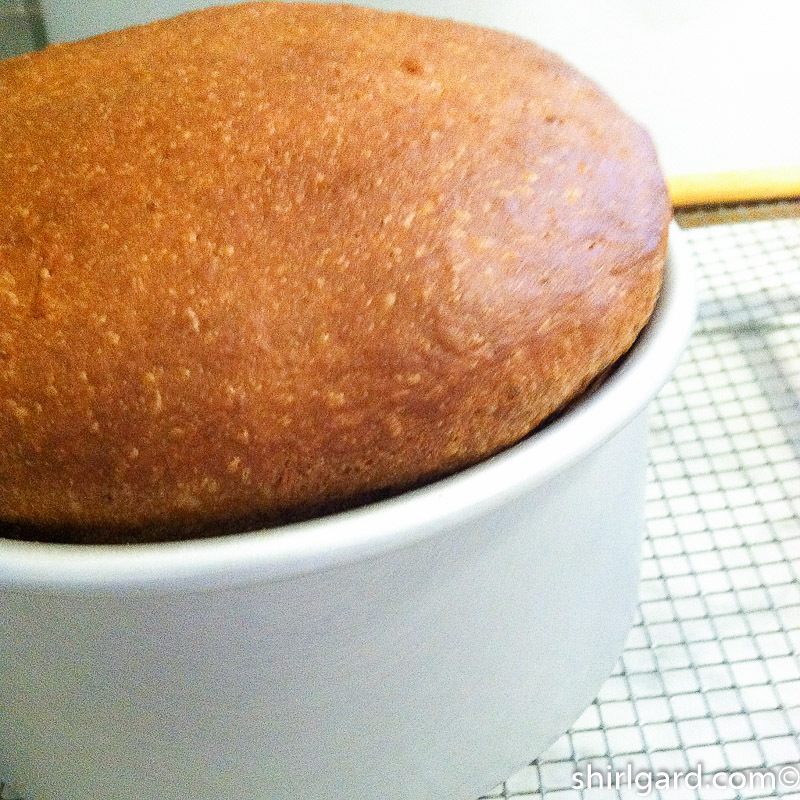 This recipe makes a delightful and delicious breakfast or tea bread, somewhat like brioche. 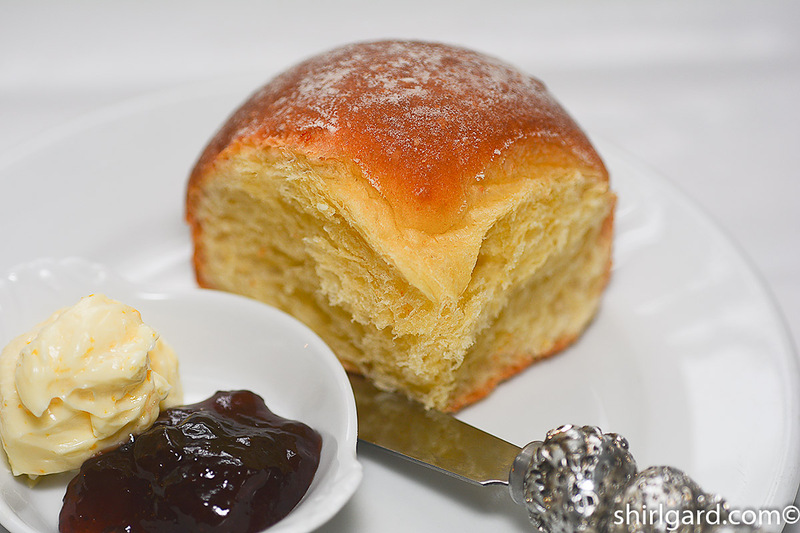 Serve warm Sally Lunn Buns with Whipped Orange Butter and orange marmalade or strawberry jam. The dough is very versatile; it can be made into large round loaf-like "Buns", Small Pan Buns, or Tea Buns (baked in muffin pans). I've also used the dough to make Sally Lunn Cinnamon Buns. Any left-over baked bread makes great toast or Sally Lunn Bread Pudding. HEAT cream in a small saucepan to 180° F (82° C). Let cool to room temperature. WHISK eggs in a medium bowl until smooth. Add cream and zest. SCALE flour and other dry ingredients, and place in Kitchen Aid, or other, mixer bowl. Mix on low speed, using paddle, for 30 seconds to combine. Sally Lunn is a "Batter Bread", meaning that it has more liquid than flour (high hydrations), so a paddle works better than the dough hook that you would normally use for most bread doughs, where the liquids are less than the flour (lower hydration). 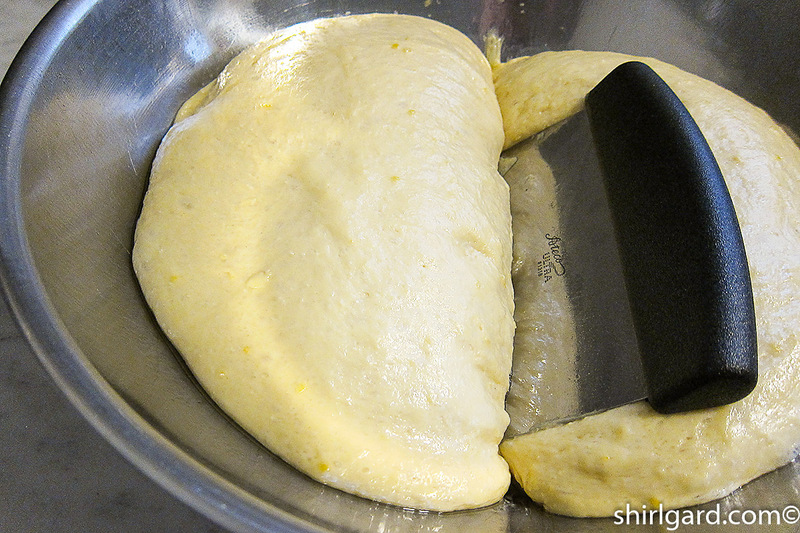 POUR in liquids and pulse gently on lowest speed just until a soft dough is formed. Increase to speed #4 and mix a total of 4 minutes. (This is easy to remember: 4 on 4). 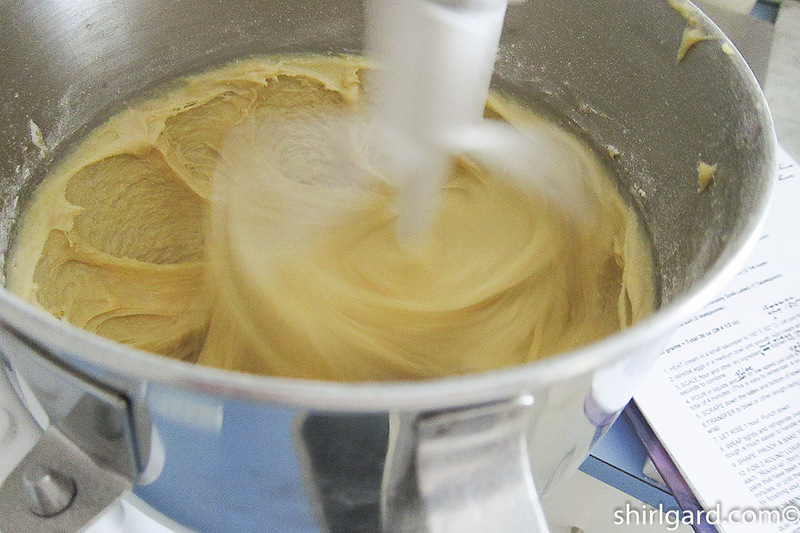 SCRAPE the batter into greased bowl, large enough for the dough to double in size. 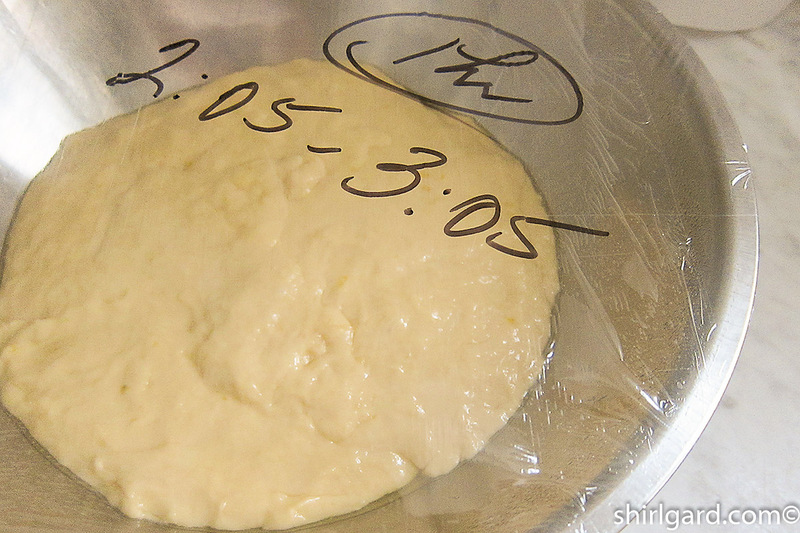 Spray the top of the dough, or spray the plastic wrap, with Pam and cover tightly. LET RISE 1 hour in warm spot, until doubled in bulk. Uncover and punch down. 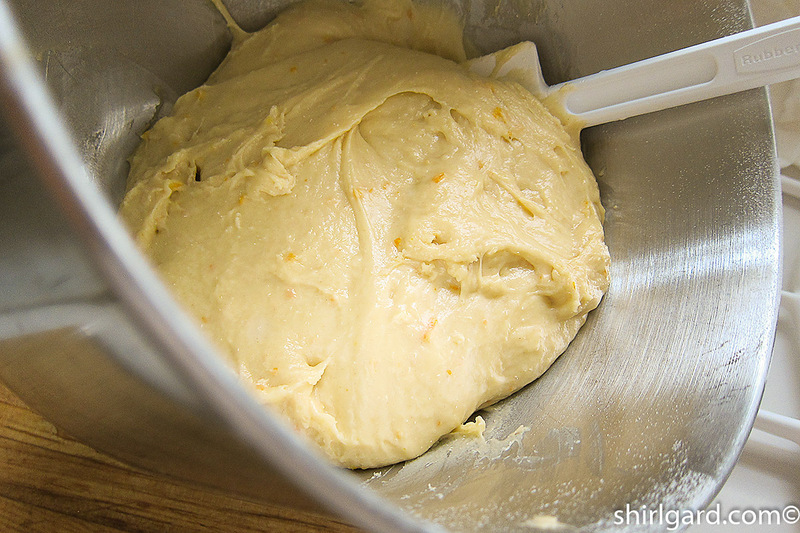 Either oil your hands or spray with Pam when handling this dough. Because of the high hydration, it is very sticky. 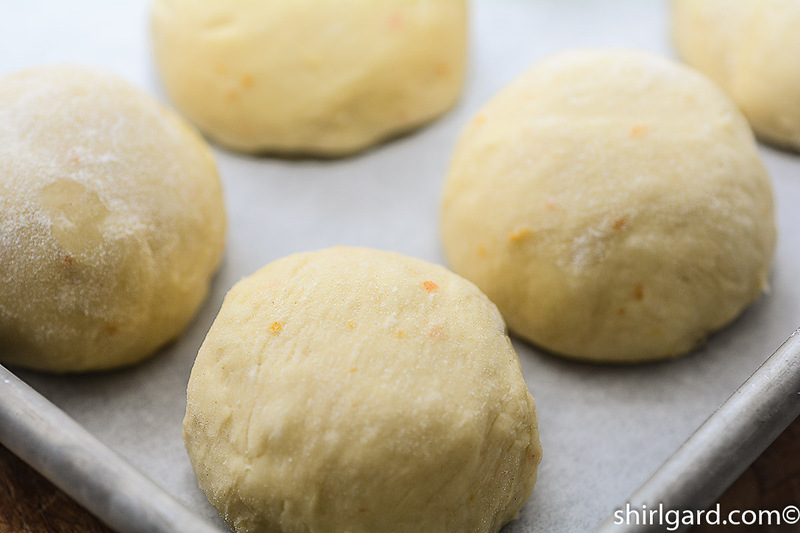 IF MAKING THE TWO LARGE ROUND 6" x 3" "BUNS": You have the option of baking the same day or refrigerating the dough overnight and baking the next day. I prefer to bake the large "buns" the same day because the proof time in the pans is so much shorter with freshly made dough; the yeast is very active and the dough will rise faster. SPRAY two 6" x 3" springform or cake pans (I like the cake pans with removable bottoms) with non-stick spray with flour. 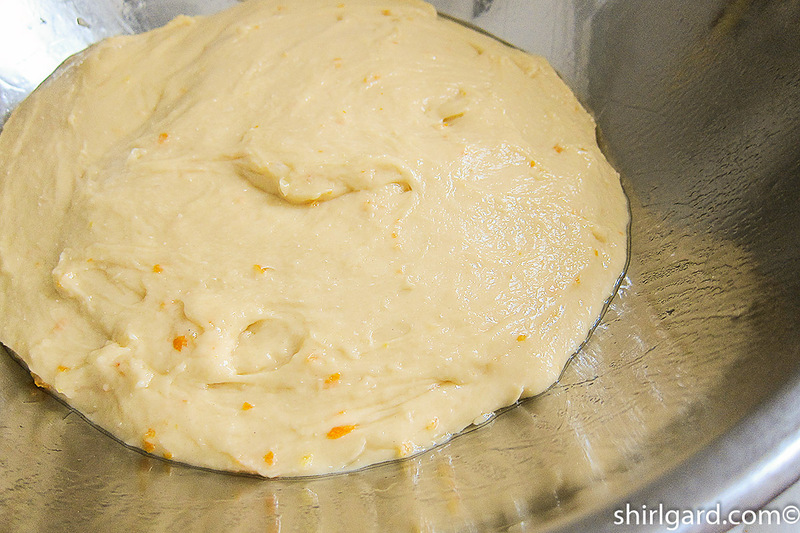 DIVIDE and SCALE the dough that you just punched down (in Step 6.) into two portions: 500g (1# 1½ oz) each. PRESS into the pans with oiled fingers. COVER loosely with plastic wrap (either oiled or sprayed with Pam) and let proof in the pans for 40 - 45 minutes, or until the dough rises in a dome above the top of the pans. 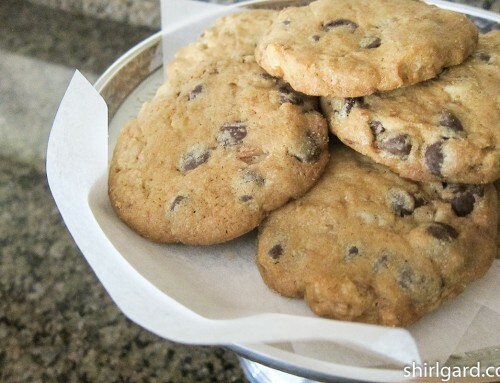 Before baking, dust the tops lightly with flour or leave plain. 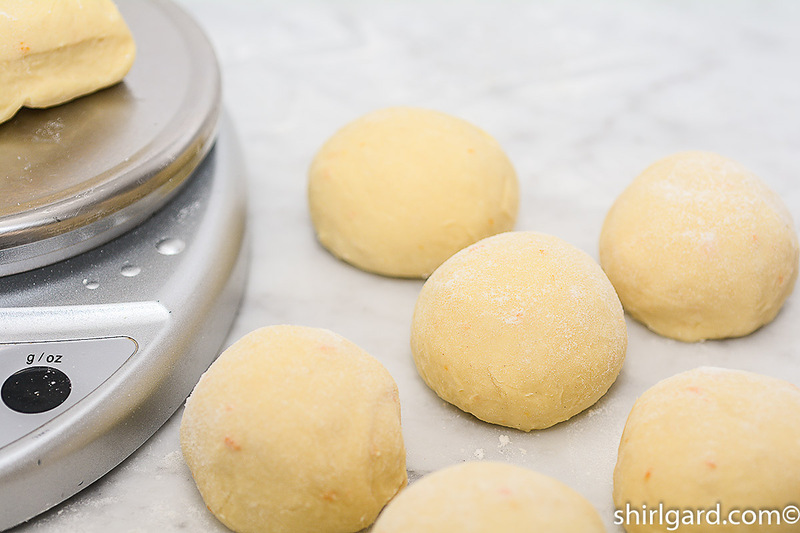 If, for convenience, you would prefer to bake the next day, just know that the cold dough will take a long time (up to 3 hours) to proof in the pans. 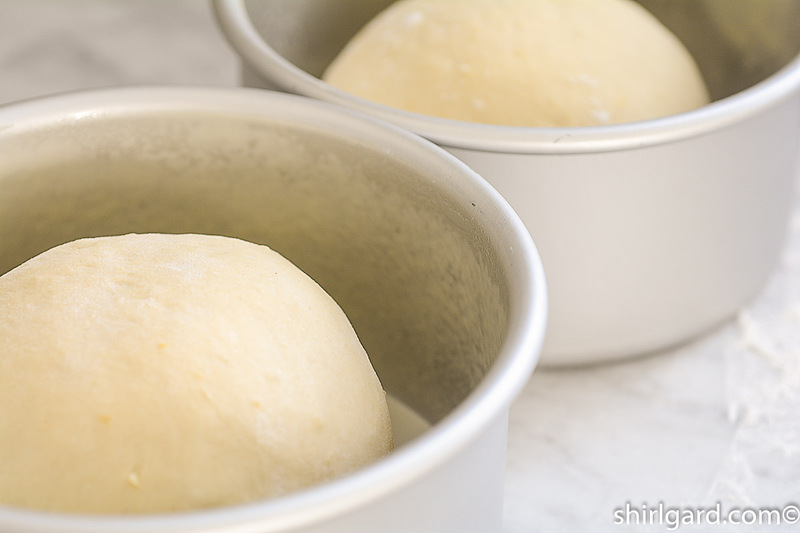 To shape cold dough to make large buns, "round up" (form into tight smooth balls of dough) the two portions of dough before placing in the pans. Cover and let rise as above. 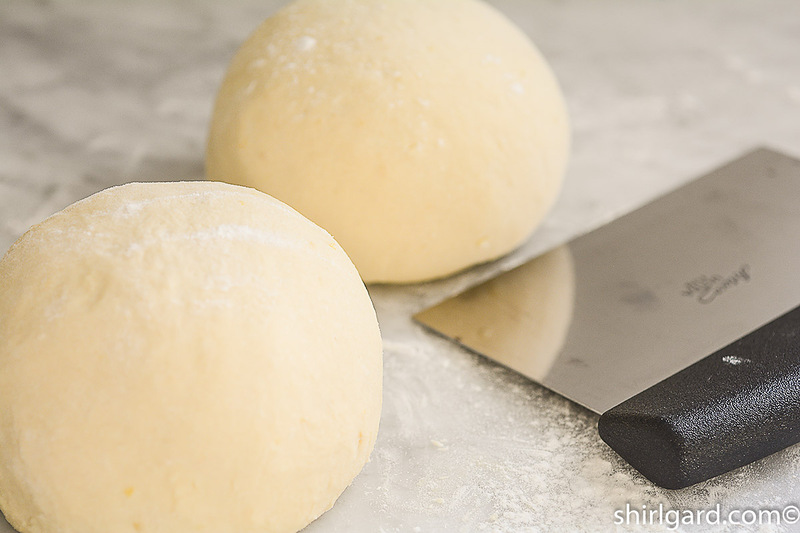 IF MAKING PAN BUNS OR TEA BUNS: It is necessary to have cold dough in order to shape the small buns, so the dough must be refrigerated overnight. 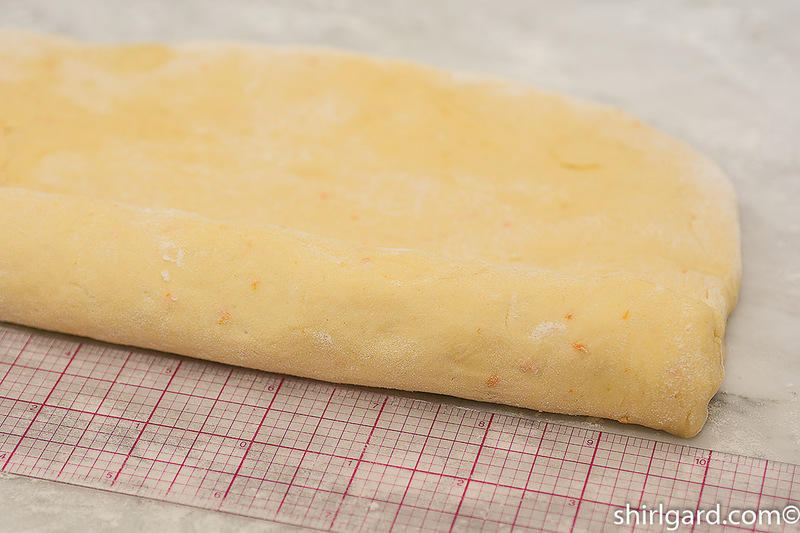 RE-WRAP the dough tightly after punching down (in Step 6.) and place in refrigerator. A few hours after refrigerating the dough, or before you go to bed, punch down again, because the dough will continue to rise. It is not necessary to un-wrap to do this; just slap the dough with your hands to completely deflate. 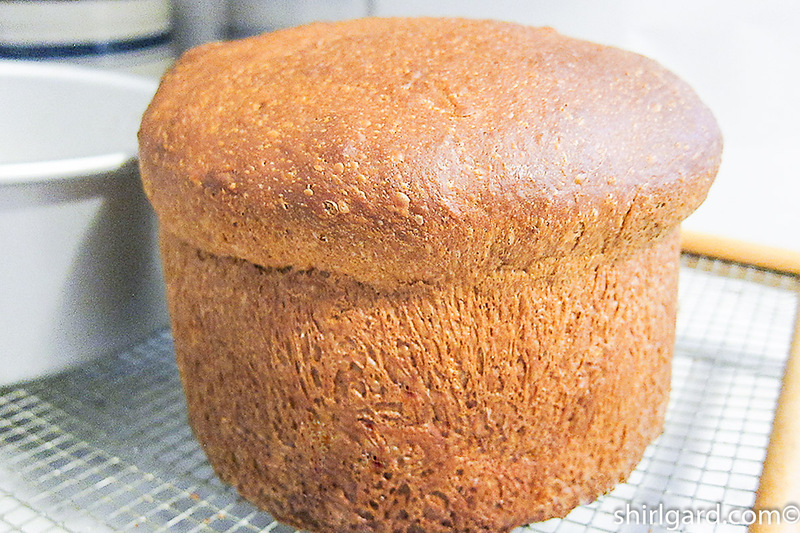 If making more that one batch of Sally Lunn, the bowls of dough can be stacked at this point to save space in the refrigerator. 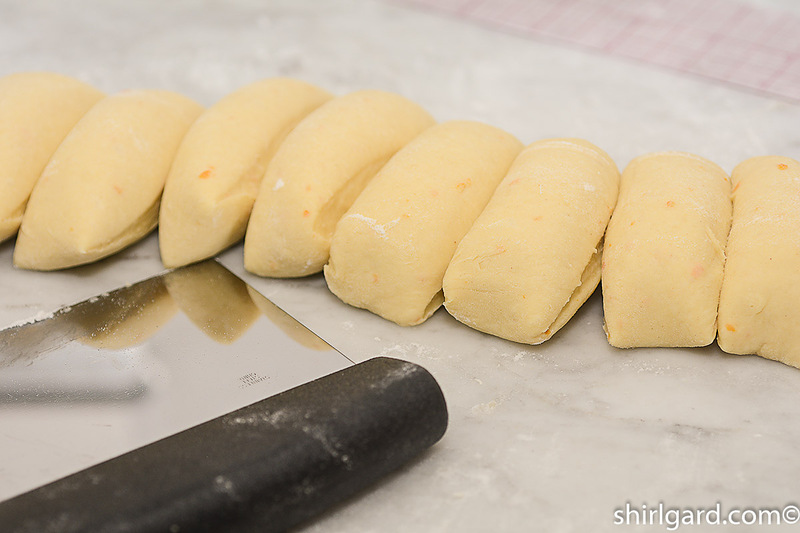 SHAPE, PROOF & BAKE THE SMALL PAN BUNS OR TEA BUNS NEXT DAY: SCALE cold dough into 20 portions at 50g each. "Round up" into tight balls of dough. 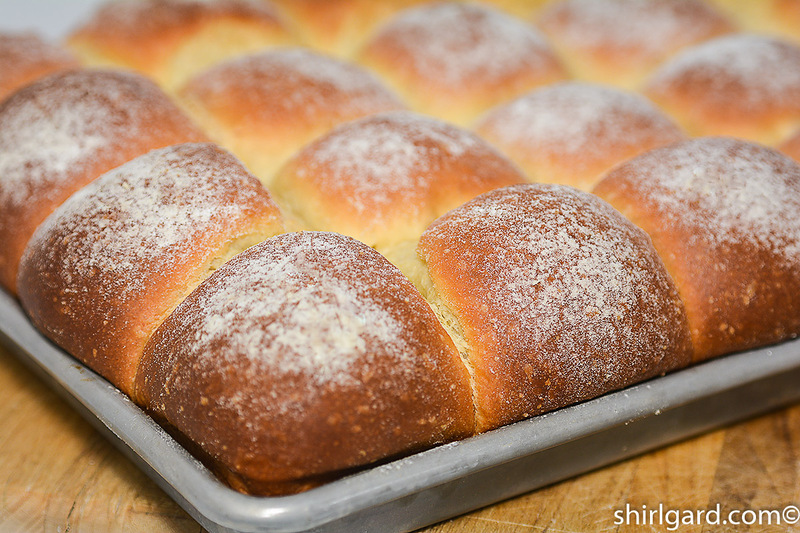 FOR PAN BUNS, arrange in rows on a parchment-lined quarter sheet pan (4 x 5). 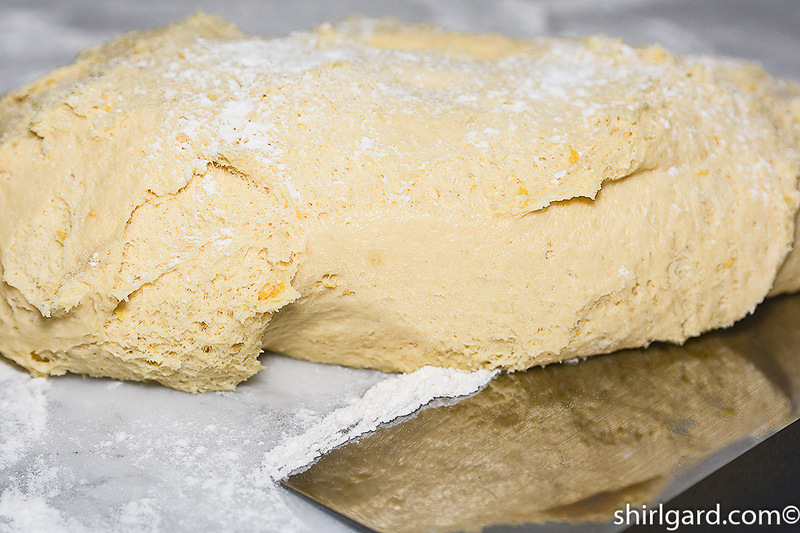 Before baking, dust tops very lightly with flour, using a fine strainer. 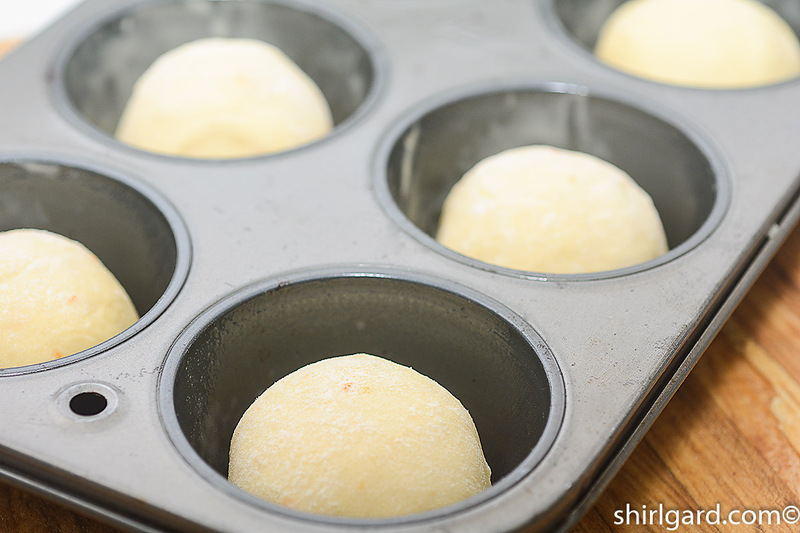 FOR TEA BUNS, place the balls of dough in muffin pans sprayed with Pam (with flour). 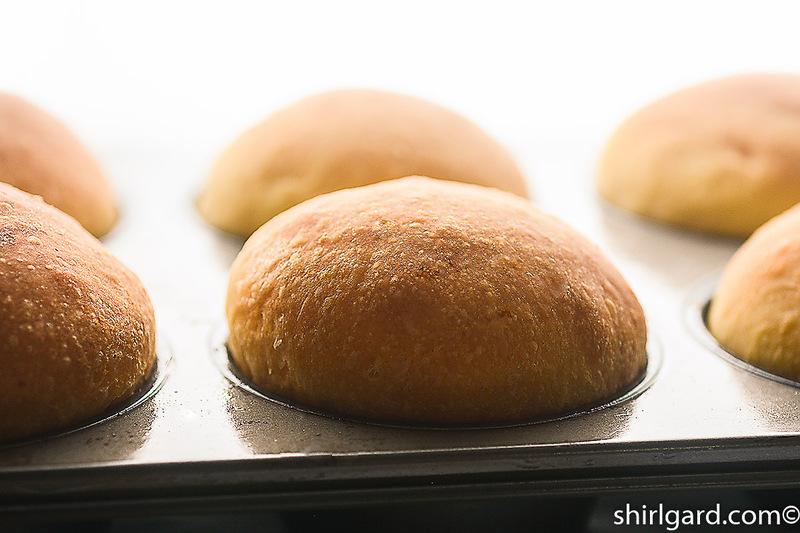 TO PROOF SMALL BUNS: Let rise about 1½ hours or until the pan buns are touching and have nice rounded tops or the tea buns rise in a dome above the top of the muffin pans. 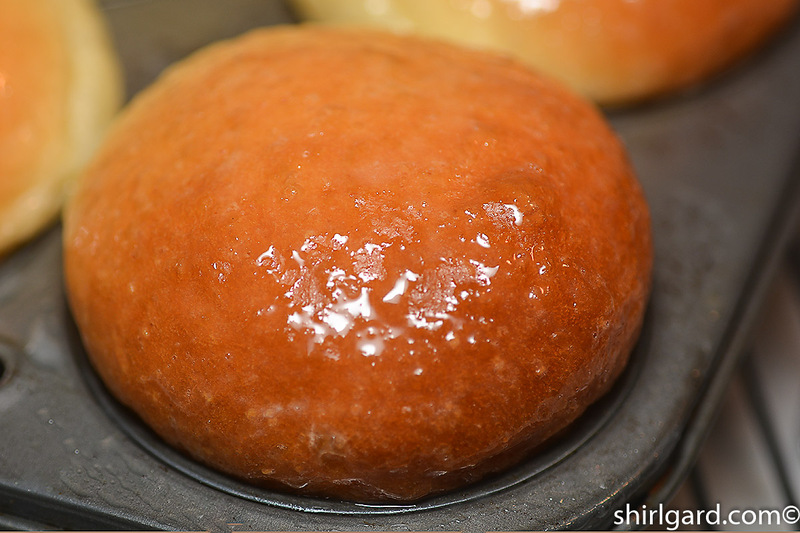 The tea buns are nice when brushed with the Shiny Milk & Sugar Glaze below (Step 10.) when they come out of the oven, . 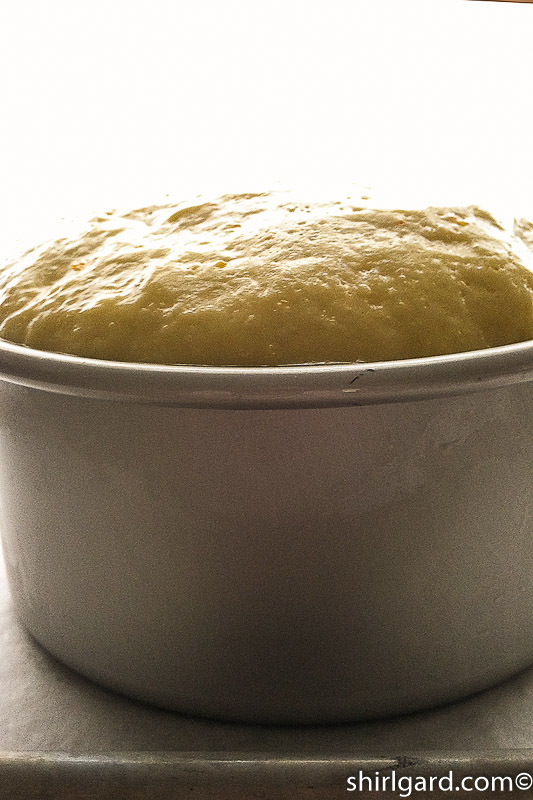 THREE OPTIONS FOR FINISHING SALLY LUNN: 1) SHINY MILK & SUGAR GLAZE ADDED AFTER BAKING: Heat 2 Tablespoons (30g) milk mixed with 2 Tablespoons sugar (25g) in small saucepan until it comes to a boil and the sugar dissolves. Brush on hot buns just out of the oven. 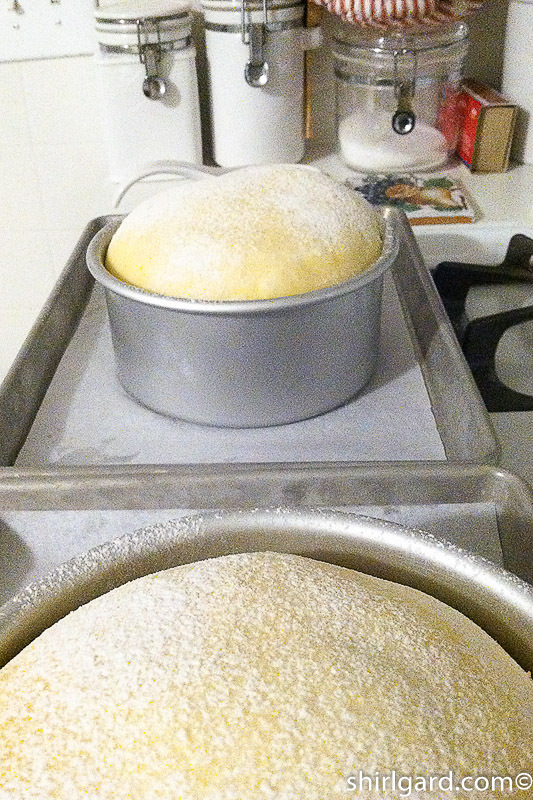 2) TOPS DUSTED WITH FLOUR, using a small fine mesh strainer, before baking. 3) LEAVE PLAIN: No glaze or flour. BAKE at 350° F (177° C). 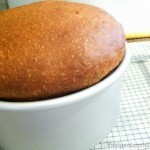 LARGE ROUND "BUNS": BAKE 40-45 minutes. 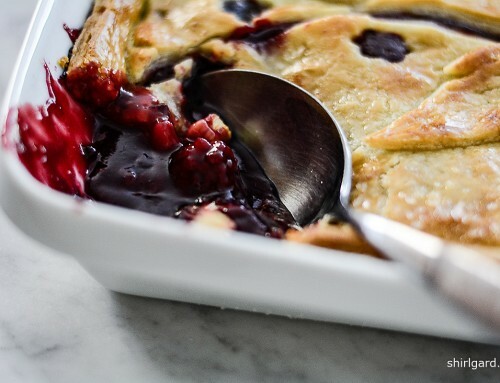 Cover loosely with a foil tent after 20 minutes to prevent over-browning. 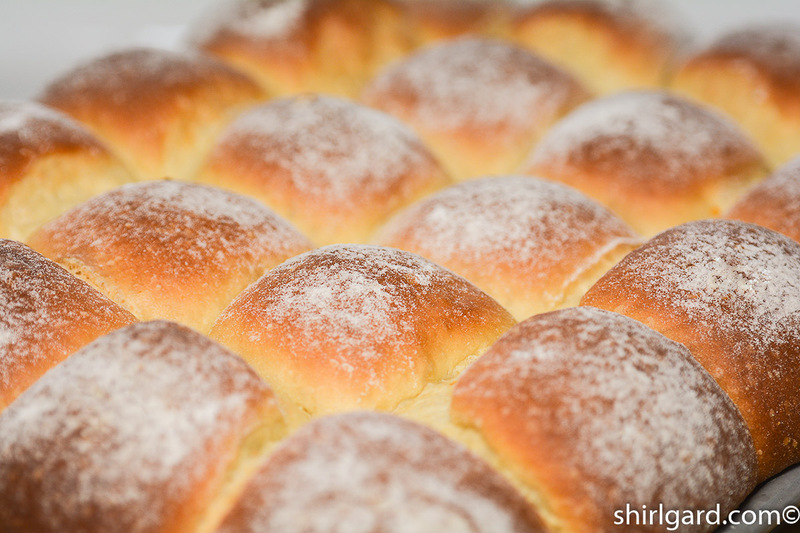 PAN BUNS: BAKE 25-30 minutes. TEA BUNS: BAKE (in muffin pans) 18-20 minutes. 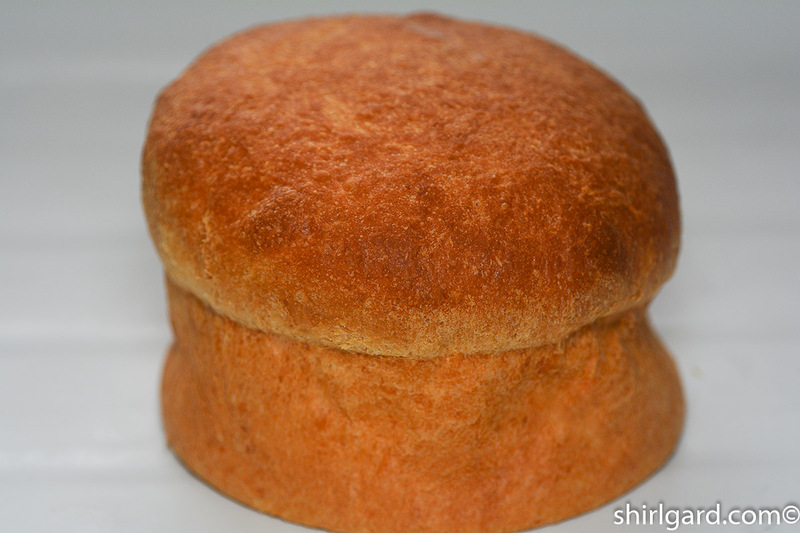 BAKE ALL SALLY LUNN buns until golden brown and the internal temperature reaches 204-205° F (95-96° C). Let cool in pans for 10-15 minutes, then remove to wire rack to finish cooling. Recipe loosely adapted from "English Bread and Yeast Cookery" (there are later editions available) by Elizabeth David (1979). 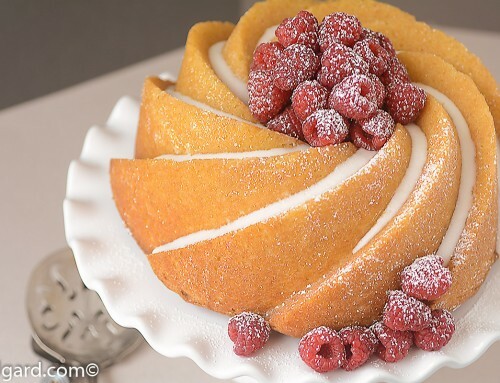 Could you make these with whole milk instead of cream? Yes, you can sub milk for cream. 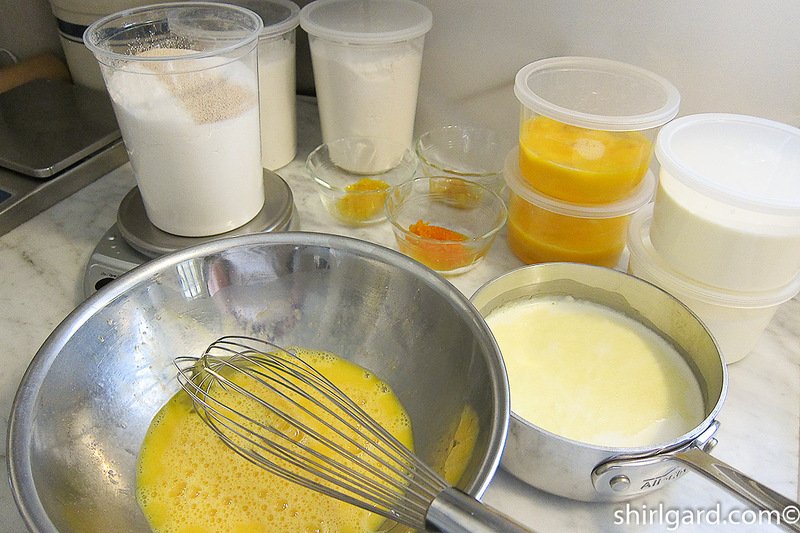 However, cream supplies both the liquid and the fat to this recipe so you would need to use some butter with the milk. Here’s how to substitute: For the 300g cream in the recipe, Use 210g (3/4 cup + 2 Tablespoons) milk + 90g (6 Tablespoons) butter. Melt the butter in the milk in step 1. This is something I’ve done before, so I know it works. I’ve never actually substituted all milk for the cream so I can’t recommend. 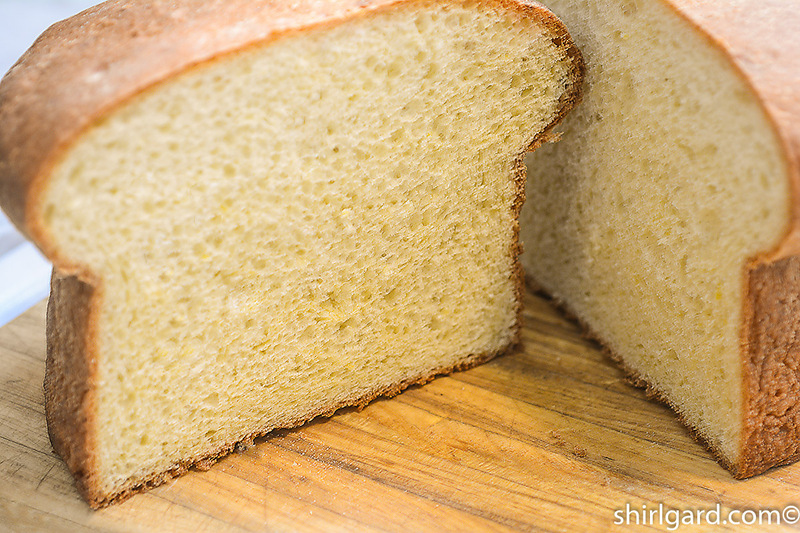 Since Sally Lunn is a brioche-type bread, the fat (in either cream or butter) is important to the texture.